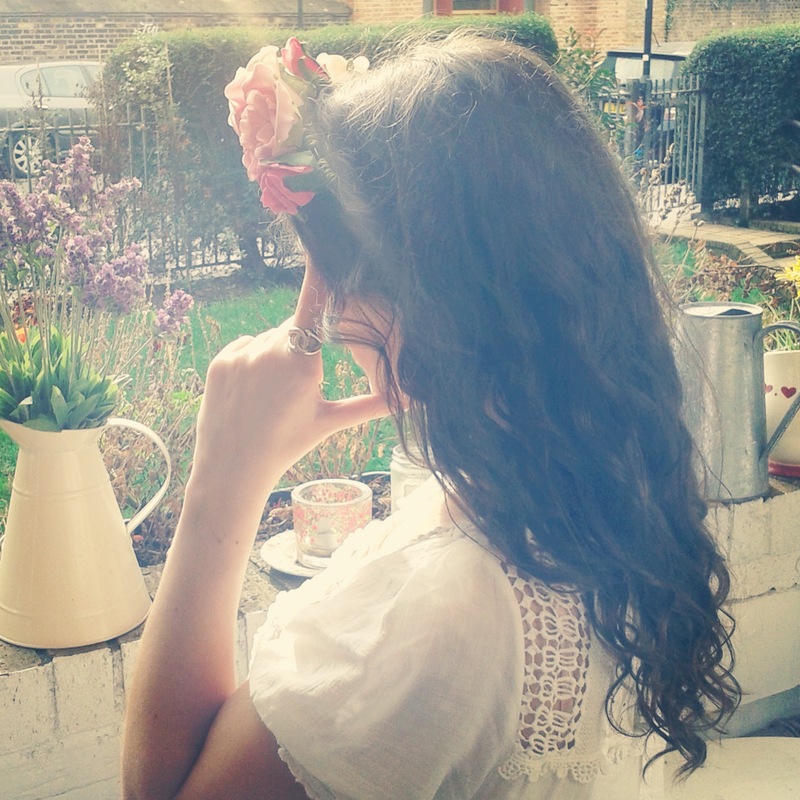 Nobody doesn’t like flowers.. and especially not super duper pretty flowers on a pretty head band.. which is why Isobel Drummond’s gorgeous little business – ‘Loving Alice‘ – has been growing (flower pun!) and blooming (bam!) in front of our very eyes. She only started making her gorgeous headbands a month ago and has already had members of the Made in Chelsea cast, Geordie Shore and Abi Alton wearing them out and about and on t’telly too. Clever Isobel. Me, feeling like a princess in my ‘Loving Alice’ flower crown..
She makes them in all sizes and all colours, from pale creams and off-whites through to pinks, purples and even blacks.. so you can mix and match and pick out petals that are just right for you… I asked for pink as today is Wear it Pink Day… so I can be pretty in pink and raise awareness for Breast Cancer all at the same time. Some people where them around the house and others have bought them for parties, weddings or festivals.. I wish I’d had one when I was at Wilderness! 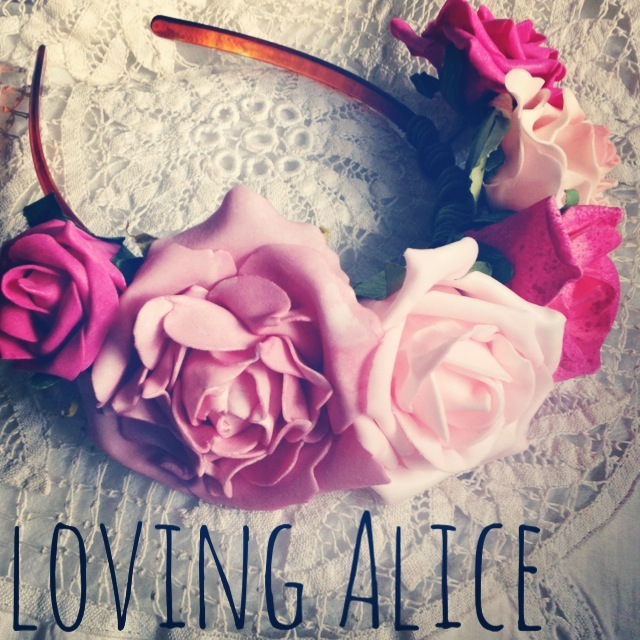 Win a Loving Alice Flower Crown! oooooh, cute- Thanks for the chance :) posies! I am a sucker for Floral Crowns they are so pretty. 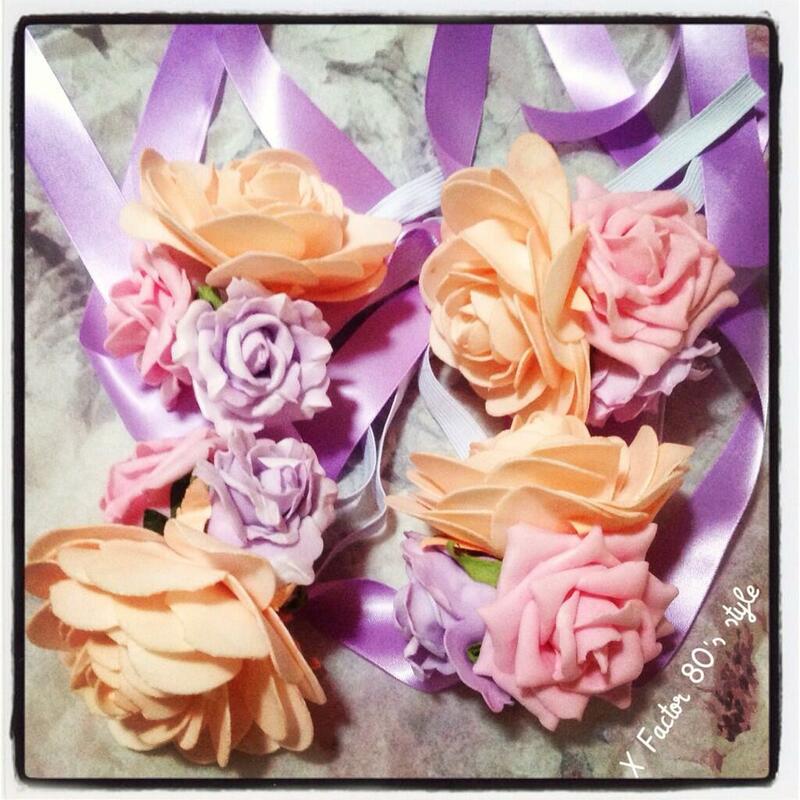 Oo thank you for pointing me in the direction on these lovely floral crowns, I wondered where they were coming from! They’re so beautiful I’m entered into your giveaway. 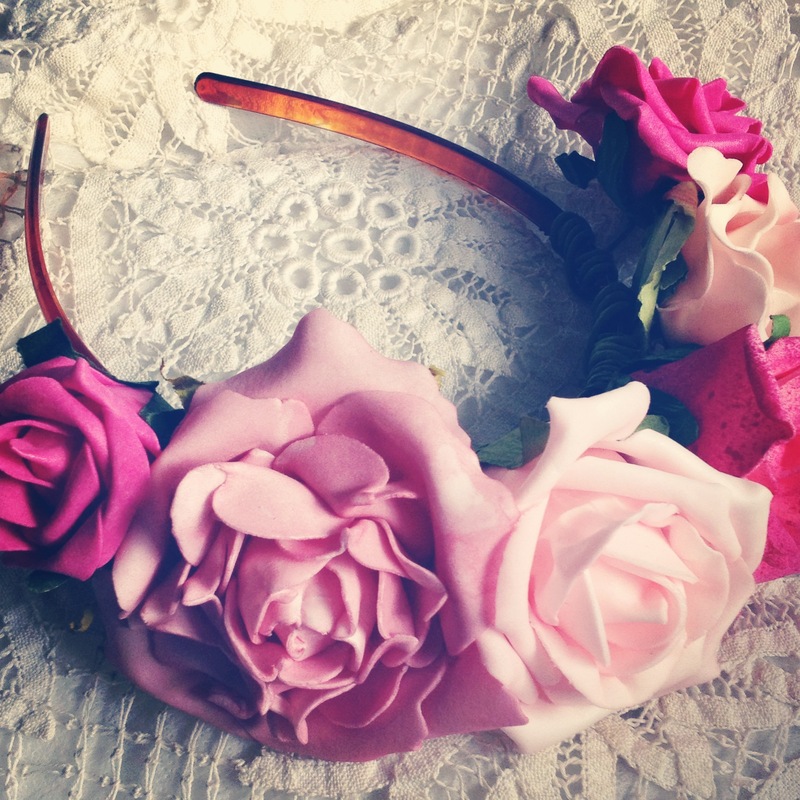 This are very cute and my daughter would look beautiful with one on.